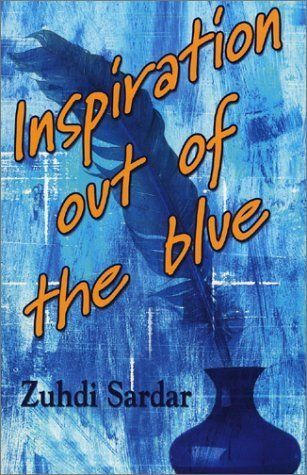 A fresh examination of timeless questions, "Inspiration Out of the Blue" is a compilation of Zuhdi Sardar's experiences, visions, beliefs and poetry. 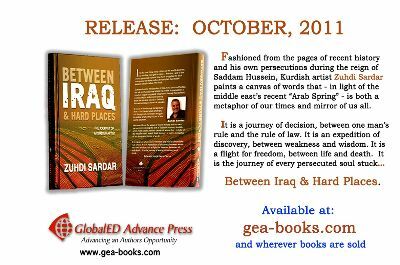 Stating clearly, "we have a purpose," Sardar continues to explore not only our missions as human beings, but also a number of varying issues, ranging from spirituality and freedom to modern economic structures. Throughout the work, Sardar offers a unique perspective to those individuals who may feel as if they are rushing through their lives. He reminds us of our universal connection to each other and to nature and how these bonds ultimately affect the existence of the planet. More than a collection of one man's reflections, "Inspiration Out of the Blue" allows readers to question their own place in the world, while taking a little bit of time to stop and smell the roses and appreciate those who impact our lives. "This is a book of my beliefs. A lot of it has been inspired by or gathered from dreams, visions, feelings, and things I have witnessed. Being an artist and a Kurd have perhaps given me different events or beliefs in my life, but throughout this I have found that there is only one thing we share, we are all the same."